Are you brand new to growing? Want a foolproof, step by step guide to take you through your first grow, day by day? Want to avoid the most common—and most costly—rookie mistakes? In fact, maybe you didn’t even know that there are different (well-paid) licensed specialties within the world of professional cannabis growers. Every state has different rules (see our infographic for more info), and soon we will publish a guide to state-by-state licensing rules. But for right now, let’s start with the basic but comprehensive courses for professional growing. There are plenty of books and courses on growing marijuana. But how suitable are they for beginners? What will they give you that free sites won’t? And will they give you value beyond your first grow? Let’s take a look at two of the big names: Bergman’s Lab vs. Ryan Riley’s Growing Elite Marijuana. Which is the best course for new growers? Later in the year, we may update this post with more course reviews, or publish them separately. So you don’t miss out, sign up to our weekly newsletter in the sidebar. As a bonus, we’ll send you our own free beginner’s ebook. UPDATE (Nov 2018): As promised, we’ve added another grow course, Green Flower’s new Cultivation Certification program. Launched in October this year, right now it’s only in its second enrollment period. But it already looks like it’s going to be popular. What’s so great about it? It’s taught and backed by some legends of the cannabis world. And if you’re looking for a job in the industry, this could be the ideal course for you. Click here to scroll straight down to our write up. 1.1 Marijuana growing for beginners: why take a course or buy a book? 1.2.1 Who is Robert Bergman? 1.3.1 What are the extras? 1.3.2 I don’t like ebooks. What about a hard copy? 1.5.1 What’s in the course? 1.5.2 What roles will this course qualify me for? Marijuana growing for beginners: why take a course or buy a book? If you’re already a confident gardener, you might be happy just getting some seeds, googling a few things and getting started. But the rest of us will need to start from the very basics. And with so much information out there nowadays—much of it conflicting—just working out how to get started can feel pretty overwhelming. And that’s just all the free stuff! You need something to cut right through the noise. A course or a book that just keeps things simple, teaches the basics and gets you through your first grow successfully would be pretty ideal. If it then also gave you the information to go beyond the basics, to build on the fundamentals you’ve just learned and really learn how to fine tune your growing, that would be even better. And finally, we need it to be up to date. The classic books on marijuana growing are all great on the fundamentals—but they’re way behind on some of the growing tech. In this post, we’re going to take a look at a couple of options that meet all the criteria. And because people learn differently and need different levels of assistance, we’ve selected two different approaches to learning. For those who like to follow a book and make things as simple or complex as they’re comfortable with, we’ve got a more traditional grow bible option. And for more visual learners, or those who like to follow a simple but detailed process, we’ve got a highly visual online course. Either way, you’re going to learn the fundamentals, discover what growing variables to manipulate and how and be guided away from the most common errors that virtually everyone makes. Neither option we’ll discuss looks cheap compared to the average hardback book. But what you invest in a good course or book, you’re likely to make back and more by shortening your learning curve and avoiding needlessly ruined grows. And remember, the sooner you get started, the sooner you can get good at it! Honestly, you could read around forever when it comes to marijuana growing. But there’s a lot to be said for just picking an option, following the instructions and learning from your first grow. Do you prefer to follow a course step-by-step, day-to-day? That’s how the Bergman’s Lab course is set up. It takes you from seed to bud with day by day photos so you can compare and adjust your progress throughout the grow. It’s an online course, so you can access it from anywhere—and with privacy guaranteed. And there’s a 30-day, no questions asked money back policy. So you can try the course risk-free. But what’s in the course, you might be asking. And who’s this Robert Bergman guy? Robert Bergman was a grower in and around Amsterdam for around 20 years. Starting with a simple, small home grow he eventually progressed to industrial scale indoor growing. Along the way, he’s encountered and dealt with pretty much every problem you could come across and tried every growing method. Two decades on and he knows how to optimize yields, bud quality or any other growing outcome you might want. And knows how to grow safely and successfully. Author of the Marijuana Grow Bible, these days he focuses on his I Love Growing Marijuana online seeds and nutes business and on passing on his knowledge to other growers. Which brings us onto what’s in the course and how it’s structured. 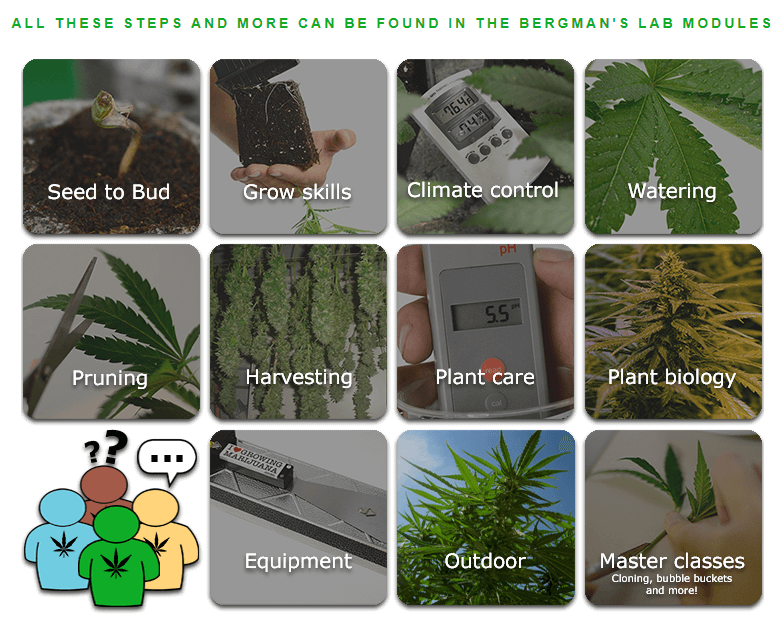 The core module of Bergman’s Lab takes you through a 90-day grow, with day by day instructions and images, covering everything you need to know for your first indoor home grow. Just get your equipment, some seeds and follow along. If you like to follow a proven method first time around and get a solid base to build on, before you start to experiment and optimize for your own goals, then this should be ideal. Even more so if you’re also new to growing of any kind and general horticulture fundamentals. For instance, knowledge of what environmental factors plants need, in general, and how they respond to small and larger changes to variables within that growing environment. The core module is designed to introduce you to these factors as they apply to cannabis, specifically, and get you through a whole grow cycle successfully—all the basics you need. And that’s all available as a standalone course for a fraction of the price of the complete course. However, if you just go for the core module alone, you miss out on deeper modules on plant care and biology, and on all of the main environmental factors involved in a grow—knowing and understanding how to manipulate all these variables strategically and deliberately and how your plants will respond is what will take you from beginner to pro. You’ll also miss out on an introductory module on equipment, strain selection and how marijuana grows. You can research that on sites like this, of course, but it’s handy to have all in one place. Knowledge of how to finely tune and manipulate your plants’ growing environment is key to developing your own growing style and getting the results you want. It’ll help you to adapt to and get the most out of the space and budget you have available to you. And it’ll help you optimize for the end product you need—oil or bud; smoking or edibles; bud weight, quality, density, size; maximum flavor or maximum yield, and so on. 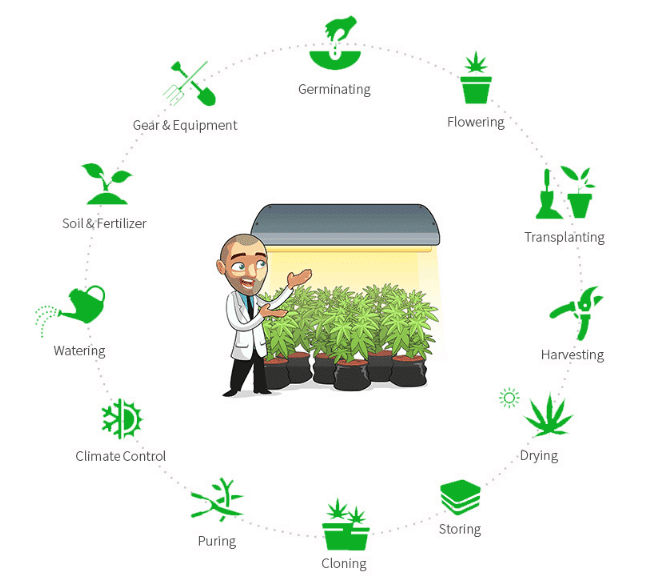 The complete course also introduces hydroponics and outdoor growing and gives you access to various Master Classes to help you learn new methods and tricks. Plus, cheat sheets to help you master and remember everything you’ve learned. 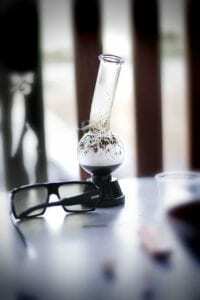 Finally, you’ll also get some ebooks on marijuana testing, growing safely and edibles recipes. However, for an extra ten bucks, you can get the Complete Course plus access to a VIP forum and support from the Bergman’s Lab team of grow experts. Ask them any grow questions you like—and without being ridiculed for being a newb. In addition to the extra support, you’ll also get three more ebooks, including how to make your own vape pen juice and how to start making money from your growing. Compared to some courses out there, and for the level of content, the course fee is a fairly modest investment. But to many of us, $147 isn’t nothing. So if you want to get an instant taste of what’s behind the paywall before you hand over your card details, you can download a FREE mini-guide: When to harvest your marijuana plants. Check it out and see if the Bergman’s Lab style suits you. Billed as the Complete Guide, this 800+ page tome distills 20+ years of growing experience into one organized, accessible, step-by-step system. It’s not a course like Bergman’s Lab, as such—it’s a printable ebook (plus numerous extras)—but it takes a somewhat similar approach. In other words, it’s well-illustrated, it’s very practical and you can follow a process for your first grow. It lets you master the basics—and only then gets into the deeper theory, science and advanced techniques that’ll help you tweak and optimize and develop your own personal growing style. Bergman’s Lab is perhaps easier to follow for your first grow. It’s one step at a time, one day at a time. Just follow along with what you see, start to finish. Whereas the Ryan Riley Guide is organized a bit differently. There are separate sections on each grow stage. You’ll need to flip from section to section, rather than following along from beginning to end. Each of the main sections contains step by step instructions, covers the basics, then moves onto more advanced stuff—i.e. the stuff you might want to pay more attention to after your first few growing attempts. Checklists are often included too. So you can keep things simple or get more complex as you choose. There’s also a later section on Advanced Growing, which covers things like plant genetics, breeding your own strain, increasing bud potency and yield. This is a grow bible you can grow into. Along with the grow bible, you’ll also get 9 bonuses—and at the moment there’s a seed deal included too. Bonuses include ebooks on plant care, stealth growing, cannabis strains, smoking etiquette and building your own smoking devices, as well as a stoner’s cookbook and audio guides to getting started and common mistakes. Finally, content is regularly revised, so you’ll also receive any and all updates to the grow bible and bonus books. I don’t like ebooks. What about a hard copy? A hard copy of the guide alone (without the extra ebooks) is available from Amazon. It’s not cheap… but if you prefer to have a reference book you can take into your grow space, it could be cheaper than buying a course—or making all the mistakes you might otherwise have made without it! It all depends on your learning style really. 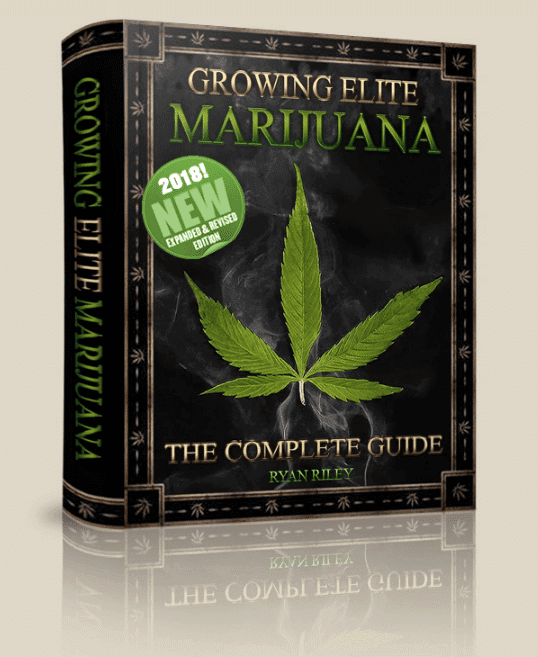 If you’re comfortable with a big, comprehensive grow guide and won’t get bogged down trying to run before you can walk, Ryan Riley’s Growing Elite Marijuana is about as comprehensive as it gets—but set out so that you can just follow the basics first time round. It’s the kind of book that you’ll appreciate more the longer you grow. On the other hand, if a simple, foolproof, step-by-step follow along course that takes you through every day of a full 90-day grow cycle appeals, then Bergman’s Lab is a great choice. 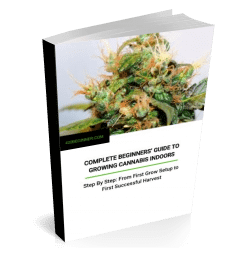 It’s extremely visual and teaches you the basics by guiding you through your first grow, but also has deeper modules available to help you achieve mastery. You learn the ‘how’ and then you learn the ‘why’. Finally, if money’s a little tighter, no reason you should miss out. Here are a couple of trusted book titles that always seem to come up when grow guides are discussed: Ed Rosenthal’s Marijuana Grower’s Handbook and Jorge Cervantes’ Marijuana Horticulture: The Indoor/Outdoor Medical Grower’s Bible. Both are rightly classics. But due to their age, the info on LED lights is badly out of date / entirely absent. Otherwise, however, both are excellent guides, easy to get a hold of and deservedly popular amongst all kinds of growers. However, if you want to start off with simplicity, take things slow, follow a proven process and gradually introduce the complexity, you’re better off with Bergman’s Lab. We’ve covered pure grow courses above. But what about those of you who’d love a job in the wider world of weed? Green Flower’s Cultivation Certification program teaches you to grow, from basic level to pro—but it also gives you a qualification you can show to employers to prove your knowledge. Taught and backed by big name experts, like Kyle Kushman, Mel Frank, Steve De’Angelo and Dr. Francis D’Ambrosio, the idea is that earning this certificate should help you stand out from the crowd when applying for competitive industry jobs. Click on over there to find out more or download the free ebook for a taster. A Fundamentals Certification is also available, and also currently taking on students (closes same date). That covers pretty much what you’d imagine from the title: all the historical, scientific, medical and botanical fundamentals we all need to know, along with a broad overview of the cannabis business. Both courses commence on the 5th Dec 2018. In addition, another five programs are set to open in January 2019. Covering Business, Science, Law, Patient Care and Medical. So, at that point, you’ll be able to get qualified with Green Flower in pretty much any aspect of the cannabis industry. Or even learn to set up your own business. Unlike the grow courses we covered above, it’s worth noting that Green Flower only takes on students every two or three months. So if you’re interested, it’s worth looking now or signing up for the email list to get notified next time enrolment’s open. The course is fully online and comprises 13 modules of video content, written material and quizzes and a final exam. Completing it should take 25-35 hours of work, including studying for the final exam. To pass the exam, you’ll need a score of at least 80%. And you’ve got a total of 90 days from the start date to complete the modules and pass the exam. As for course content, it’s as comprehensive as you’d expect. Now that cannabis growing is widely legal, finally people can properly study the art, craft and science of the whole thing. Consequently, knowledge and techniques are advancing practically daily. Even if you’re an experienced grower, there’s always something new to learn. The cultivation experts teaching this course are all active in the industry and/or the science behind it. 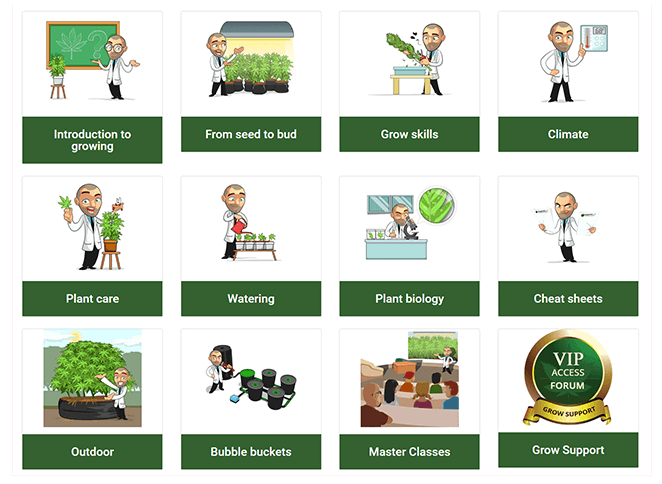 So you you can be sure the curriculum will have something to teach all levels of grower. …among many others across production manufacturing and distribution. Download the ebook here to find out more about getting your dream job in cannabis cultivation. 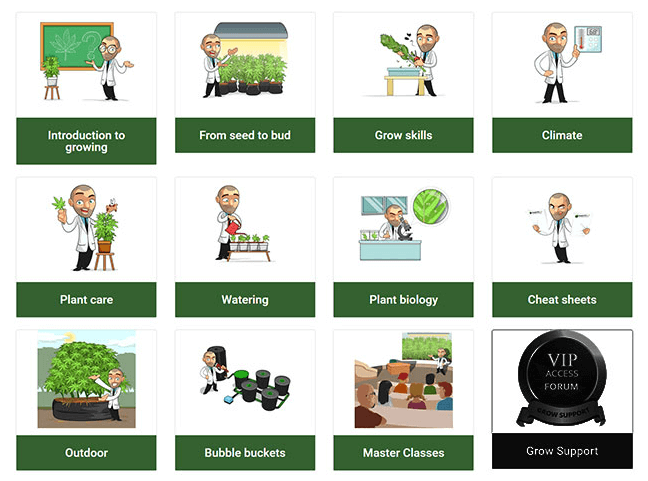 Few online grow courses both teach you how to grow and give you a worthwhile qualification at the end of it all. A certificate that you can actually use to help get you a job in the industry. While it’s not an accredited course, we’re not aware of any formally accredited online grow courses, right now. So with the names behind this one, that’s about as good a guarantee of course quality as you’re going to get right now. Any employer who googles it should be impressed. Likewise the stringent pass requirements and the 90-day course length. Which means students have to do more than just watch some videos to get certified. Finally, Green Flower Media is already a trusted name in cannabis education. They’ve been on YouTube for years, recently set up their own media platform and run various summits and events. But don’t worry, all the material on these courses is 100% exclusive to the courses. If you want to know how to grow, and think you might want to make a career of it, we think this course is where it’s at. You can still be one of the first. We have our own beginners guide, too—but naturally it doesn’t go quite as far as a full book or course. Do you have any recommendations of your own? Scroll down and leave them in the comments!